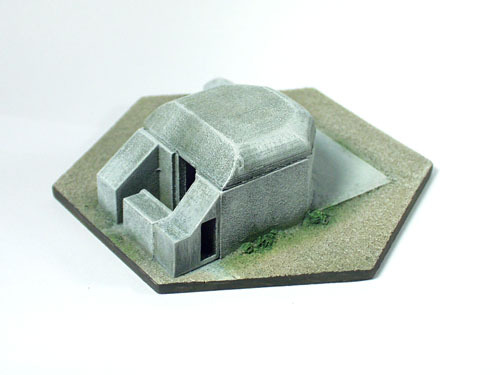 This is a two part model painted in Beach Painting Scheme. 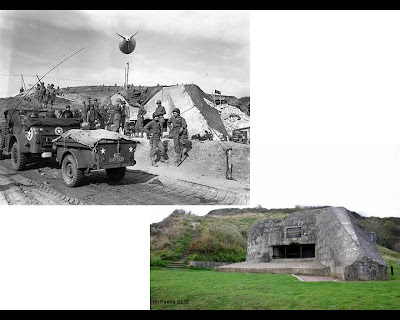 The top of the bunker opens for placement of anti tank guns and troops. 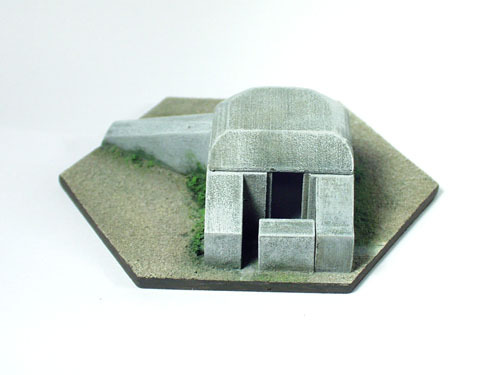 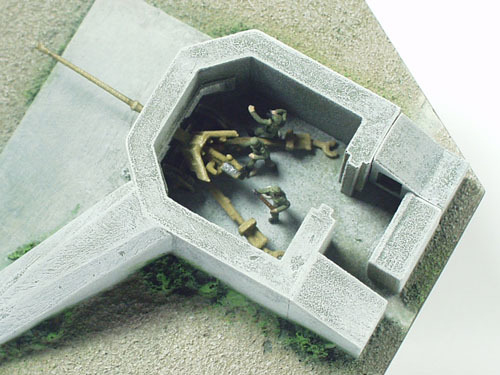 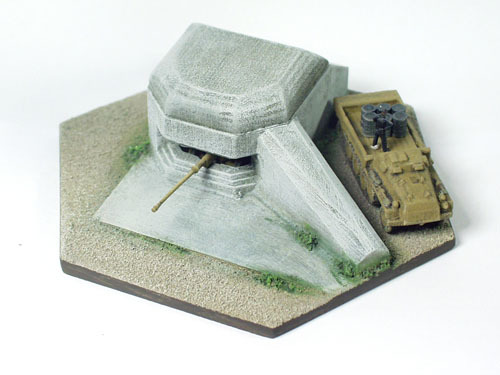 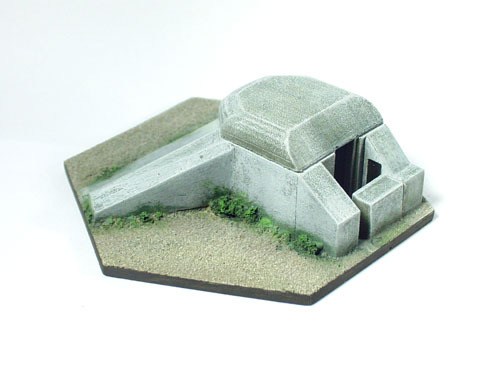 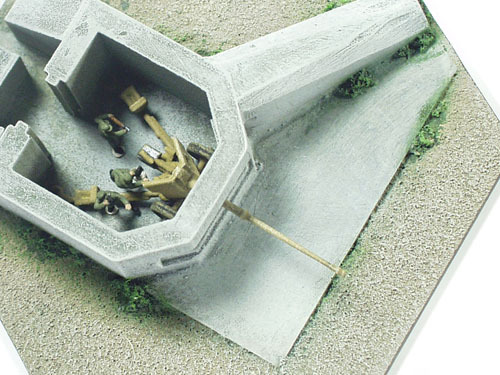 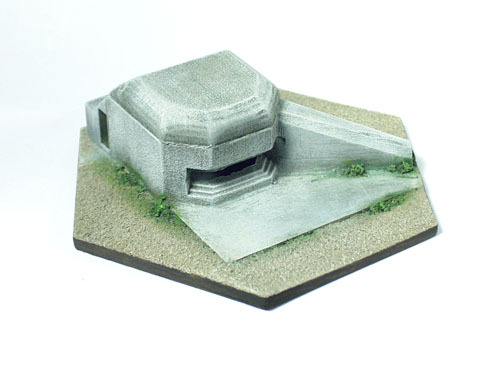 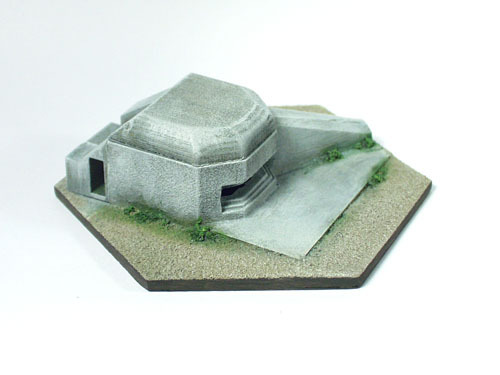 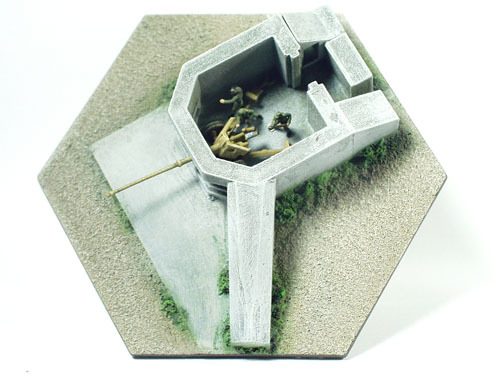 This 1:144 WWII German Bunker Bauform H667 is a simplified design based on the Bauform H667 used in Normandy Exit E-1, on Omaha Beach (D-Day). 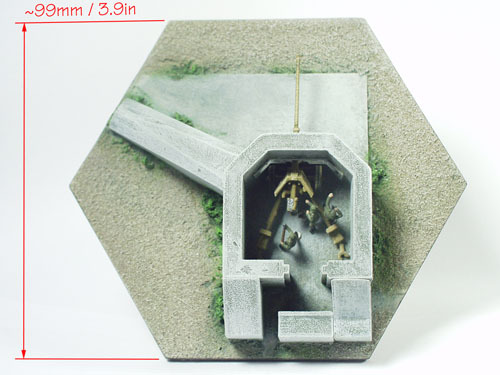 Pak 43 and crews available separately. 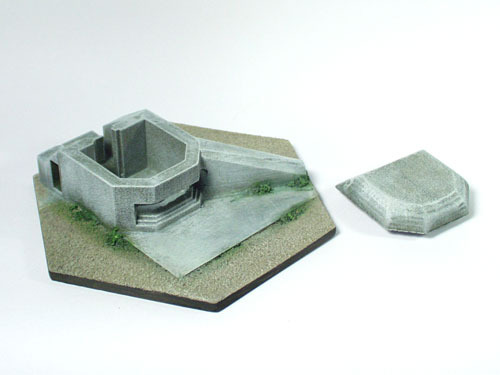 Advanced version of Bauform H667 also available separately. 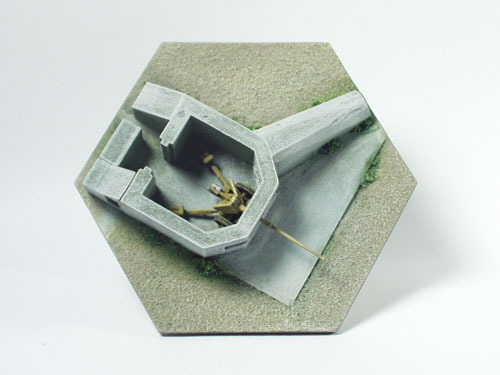 Individually cast in resin, hand painted to the finest detail. 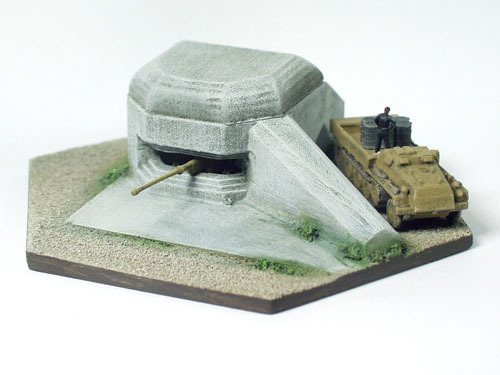 100% made in Hong Kong. 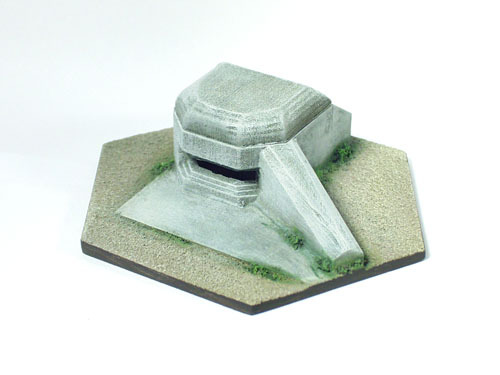 A perfect display base for your 1:144 wargaming and/or displaying your collection of Dragon or Takara WTM 1:144 tanks. 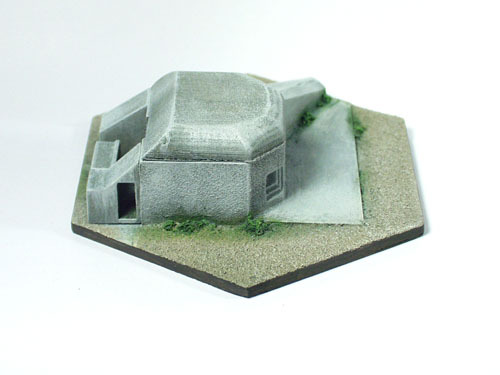 Also suitable for N scale and 12mm models.